According to an article in the MetroWest Daily News, three men fled from the vehicle they were traveling in during a traffic stop in Framingham earlier this week. The article states that the police pulled the car over for a traffic violation on Hollis Street. Although the driver initially pulled the car over, he then restarted the vehicle and attempted to get away from the police. The driver cut through the Tedeschi’s parking lot and turned down an alleyway next to Auto Brite Car Wash. The alley, however, is a dead end and the three men were trapped. Officers ordered the driver and the two passengers out of the car and proceeded to search it. The police recovered nearly three ounces of marijuana and several digital scales. All three of the men were arrested. The driver was charged with failure to stop for police, driving with a suspended license, driving to endanger, possession of marijuana with the intent to distribute, and conspiracy. The two passengers were charged with possession of marijuana with intent to distribute and conspiracy. 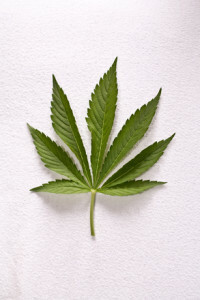 To charge the men with possession with intent to distribute marijuana under G. L. c. 94, § 32C, the Commonwealth would have to prove the following beyond a reasonable doubt: (1) that the substance in question was in fact marijuana; (2) that the defendants possessed some perceptible amount of that substance with the intent to distribute it to another person; and (3) that the defendants did so knowingly and intentionally. As to the second element, the jury is allowed to consider the following factors in determining whether the defendants had the requisite intent to distribute: (1) the quantity of drugs that were possessed; (2) the purity of the drugs; (3) the street value of the drugs; (4) the defendants’ financial resources; (5) how the drugs were packaged; (6) whether other items were found along with the drugs which might suggest drug sales, such as cutting powder or packaging materials, scales, or large amounts of cash; (7) whether there is any evidence suggesting that a sale was in progress; (8) whether there is any evidence that these drugs were part of a larger stash of drugs; and/or (9) whether there is any evidence that the defendant repeatedly traveled at short intervals to known drug centers. As to the third element, a defendant acts knowingly and intelligently if he acted consciously, voluntarily and purposely, and not because of ignorance, mistake or accident. Based on the allegations in this case, it appears that all three men may have a defense to at least the most serious charges: possession with intent to distribute and conspiracy. Specifically, all three of the men can argue that there was no intent to distribute the drugs and that they had simply purchased the marijuana for personal use. Under Massachusetts law – Commonwealth v. Jackson – the Supreme Judicial Court has held that social sharing of marijuana does not constitute distribution. Therefore, all three of the men can argue that they purchased the marijuana to use together and/or to share with other people. Although the quantity is somewhat large, and scales were found, the men can argue that they planned to share the marijuana with additional people and that they simply had the scales to make sure that whomever they did purchase the marijuana from gave them a fair deal. Alternatively, the men can blame each other – specifically, each of the men can argue that the marijuana belonged to one of the other defendants. Although the driver may have a difficult time mounting this defense, as he was the person responsible for fleeing from the police, it’s possible that he only did so because one of the other men was instructing him to flee. This argument is further bolstered by the fact that the driver did stop initially – therefore, he could argue that the marijuana was not his, he pulled over to comply with the traffic stop, and only attempted to evade the police after one of the passengers divulged that he had a significant amount of marijuana in the car. This would be a particularly strong argument depending on where the marijuana and scales were located – for example, if they were located in a bag in the back seat, the driver and the front seat passenger would be in a stronger position to point the finger at the backseat passenger. Regardless of what defenses the men may choose to mount, they are still facing serious charges and will need the skill of an experienced defense attorney. Attorney Daniel Cappetta has helped numerous people charged with drug offenses and always gets the best possible outcome for his clients. Call him for a free consultation today.